Welcome to Gabbinbar Homestead – a historic Victorian-era estate available for destination weddings. We offer all-day exclusive use, which gives you access to the luxurious Bride’s Retreat as you get ready, the choice of six stunning ceremony locations, expansive gardens for photos and breathtaking indoor and outdoor reception locations. First established in 1864, Gabbinbar Homestead was the former Summer resort for Queensland’s governors due to its mountain-top elevation. All the historic sections of Gabbinbar are open for you and your guests to use including the Homestead, stables, garden pavilions and old-school house. 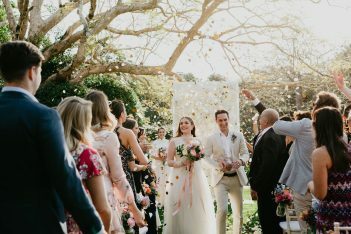 Gabbinbar Homestead hosts destination weddings from all across Australia. Our brides travel from Sydney, Melbourne and further afield for an authentic destination wedding. 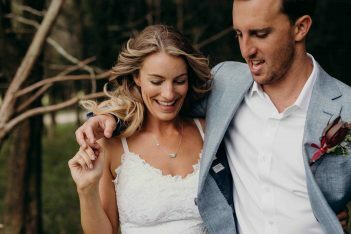 In particular, hundreds of South-East Queensland brides have chosen Gabbinbar Homestead for their wedding given its convenience to Brisbane, the Sunshine Coast and Gold Coast. At Gabbinbar Homestead, we promise exclusivity, attention to detail, flexibility and exceptional service. You will relax with confidence as our wedding planners take care of the details while you and your guests enjoy the celebration.